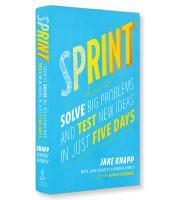 In a new book, Sprint, Google veteran Jake Knapp and his Google Ventures co-authors John Zeratsky and Braden Kowitz insist that it is possible to focus on a problem, consider different solutions, choose one, prototype the solution and test it on customers in just five days. The “sprint” process, as it is called, has been applied hundreds of times for companies in which Google’s venture-capital arm has invested. Sprint offers a detailed step-by-step guide to successful sprints. On Monday, for example, the sprint team — a small group with a multifunctional background — will map out the problem and choose a target on which to focus. The first step is to set the long-term goal. This is followed by listing “sprint questions” that question assumptions and lay out obstacles in the form of questions. The next step is mapping. The key to successful mapping, according to the authors, is to keep it simple. The map, created on a white board, is customer-centric: the key customers are listed along the left margin, with the rest of the space dedicated to a drawing that recreates the customer experience from beginning to end (arrows are valuable here). The next step, “ask the experts,” consists of interviews with people who have the knowledge to provide ideas to the problems first laid out in the sprint questions and highlighted by the map. Sprint is filled with snappy little brainstorming techniques, and one of them appears in the “ask the experts” portion of the process: the HMW note. The members of the sprint team use post-it notes to ask “How Might We” questions of the expert that address the unknowns or concerns that have arisen. Expect the map to be redrawn as the experts reveal unexpected problems or offer unexpected solutions. Monday ends with “choosing the target.” The map has been redrawn (and is by now plastered with HMW sticky notes), and now the team chooses one particular aspect of the customer experience on which to focus. 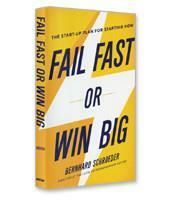 The authors break down the rest of the days in the same clear, step-by-step manner. They give the order in which the major tasks for each day must be accomplished, offer tools and methodologies to help accomplish the tasks, and offer real examples throughout from their clients. On Tuesday, the goal is to come up with solutions. After reviewing existing ideas through a process called “remix and improve,” each team member creates a sketch of a solution. The sketching process is not a leisurely artistic endeavor but, rather, a rigorous four-step process: 20 minutes to gather information, 20 minutes to doodle rough solutions, eight minutes to try eight variations of the ideas, then 30 minutes to draw the detailed solution. Thursday is the day to create the prototype. The goal here is not to construct a building but to construct the façade — like the movie sets of old westerns, the façade only appears to be a building. For websites, for example, this means creating PowerPoints that look like web pages. Often, however, prototyping in one day requires more creativity. To prototype computer-controlled bots, for example, one sprint team acted as if they were the computer-controlled bots responding to questions from the customers testing the concept. Friday is the day to invite a small sample of customers in to test your “faked” prototype. Although fake, the prototype needs to respond in the way that an actual prototype will respond to make the test legitimate (see bots, previous paragraph). The authors’ sprint process is basically a five-day, carefully planned and creative brainstorming process that readers of Sprint will find surprisingly pragmatic.